Not all sports are year-round, and some seasonal or weather-dependent sports activities require a lot of gear. Luckily, the high-quality storage units at the Affordable Family Storage facilities in Omaha, NE are available all year round. Whatever sport or fitness activity you’re into, our storage units can offer the perfect solution for safely storing your stuff in the offseason. In today’s blog, we’re going to offer some advice for keeping your gear in game-day condition when it’s in our storage facility. Your first step before putting any sports equipment — whether it’s uniforms, kits, gloves, pads, shoes, or anything else — into a storage unit is to inspect all of it. Make sure that nothing is damaged or dirty, and make sure that any fabrics and leather products are dry. Putting wet or damp equipment into storage, even with climate control, is asking for mold and mildew. This is especially something you don’t want to happen with more expensive and important sports equipment. If anything is dirty or damaged, now is the time to fix it. Clean any kits or sportswear, and repair any damage to any equipment. While damaged equipment isn’t going to sustain more damage while it’s sitting in storage, it’s not going to get repaired either. Now might be the best time to throw out old gear and replace it with something new. How you store anything in a storage unit is entirely up to you, but we strongly suggest that you organize your items carefully. The longer you leave a number of items in storage that you never organized or categorized, the harder it will be to remember where certain things are — or whether you even stored them in the first place. 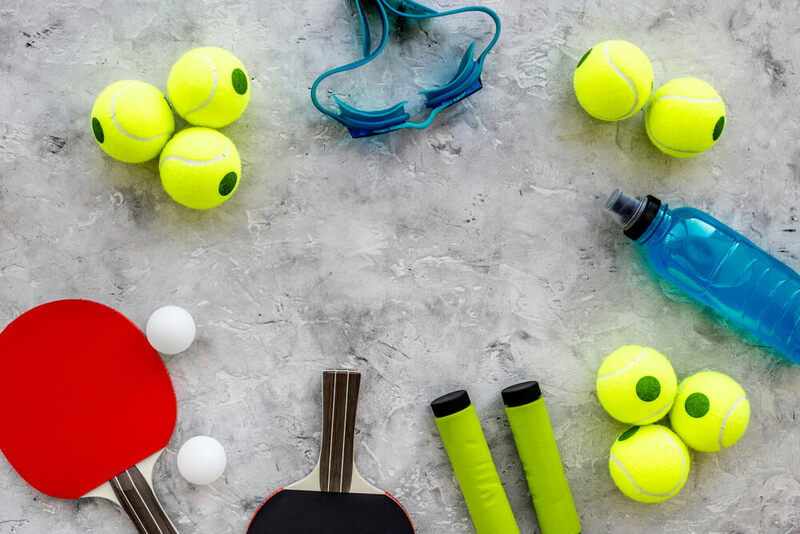 Organize by sport, by season, or by equipment type, and keep items together. Even better, use containers and labels to keep things together and save some space for more storage. It’s a good idea to keep certain things covered, especially large items like a collection of golf clubs. But it’s also important to cover them with the right material. Using something like plastic risks allowing moisture to build up, and it’s better to use a breathable material like a cotton sheet or specially designed tarp instead. Affordable Family Storage is always ready to help anyone looking for a reliable, secure storage unit. Our facilities offer a wide variety of additional features such as climate control, easy access, modern security systems, online and automatic payments, and much more. Contact Affordable Family Storage about storage rental today.